June 1917 coincided with the ground being laid for further national discourse on the future government of Ireland in the form of the Irish Convention. The report of the outcomes of the Convention were compiled and published by Horace Plunkett in 1918. 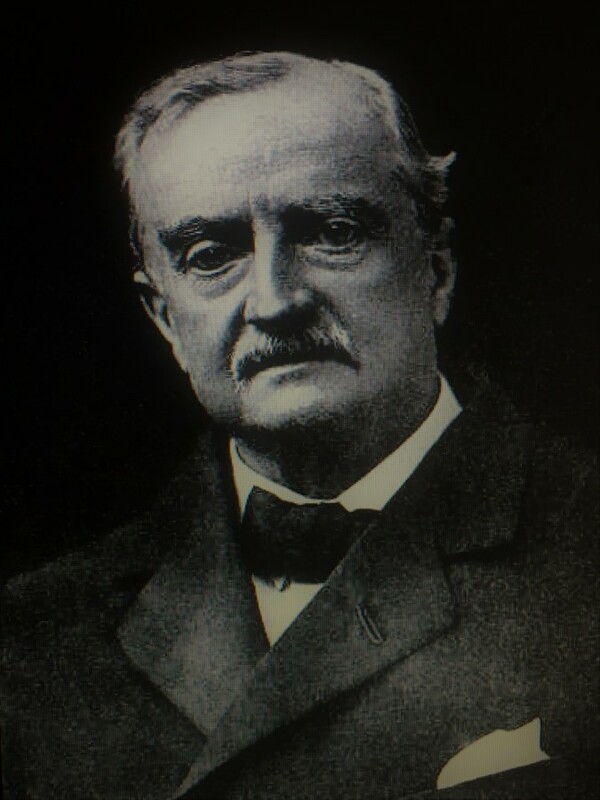 In a letter dated 16 May 1917 and addressed to Mr John Redmond, leader of the Irish Parliamentary Party, the Prime Minister Lloyd George expressed his hope that “Irishmen of all creeds and parties might meet together in a Convention for the purpose of drafting a constitution for their country which should secure a just balance of all the opposing interests”. Invitations were extended to the Chairmen of the thirty-three County Councils, the Lord Mayors or Mayors of the six County Boroughs. The Chairmen of the Urban Councils throughout Ireland were requested to appoint eight representatives, two from each province. The Irish Parliamentary Party, the Ulster Parliamentary Party and the Irish Unionist Alliance were each invited to nominate five representatives. An invitation was extended to the Roman Catholic Hierarchy to appoint four representatives; the Archbishop of Armagh and the Archbishop of Dublin were appointed to represent the Church of Ireland, and the Moderator of the General Assembly to represent the Presbyterian Church in Ireland. Invitations were also extended to the Chairmen of ‘the Chambers of Commerce of Dublin, Belfast and Cork, and to labour organisations, and the representative peers of Ireland were invited to select two of their number. All these invitations were accepted except by one Chairman of a County Council. Invitations intended to secure representation of the Sinn Féin party and the All for Ireland party were declined, as were the invitations extended to the Trades Councils of Dublin and Cork. On Thursday evening, 14 June 1917 an inaugural public meeting to discuss the Irish Convention was held in Cork City Hall. The proceedings were published by the Cork Examiner a day later. The meeting comprised merchants, traders, members of the various professions and other citizens of Cork and met to pass a resolution in connection with the future government of Ireland. It was one of the largest and most representative meetings that had assembled in the City for many years, the attendance numbering between 500 and 600, many of whom held very divergent views on the Irish Home Rule situation. Complementary to that at the back of the hall were a section of young men representing Sinn Féin numbering between 40 to 50. The Chairman Bertram Windle explained that he occupied the chair because the Lord Mayor, T C Butterfield, whom they would naturally expect to find in the chair, considered that he was too closely identified with “party politics” to do so. Windle wished to say distinctly what the meeting was and what it was not; “it was a meeting of the citizens of Cork desirous of promoting the success of the forthcoming Convention”. At this point, one of the young members of Sinn Féin stood up and shouted: “Is the resolution passed last Tuesday night by the Sinn Féin organisation in Cork going to be read here?”. The chairman answered in the negative, and the interruptions from the back of the hall continued. Alderman Beamish rose to a point of order, and asked that all in favour of the object of the meeting stand up. In response every man in the Hall, with the exception of the Sinn Féin representation, rose to their feet. Mr A F Sharman Crawford, took to the floor, and noted that he felt it a great privilege to propose the resolution, which was the object of the meeting. The resolution was ”That we, merchants, traders, members of the various profession, and other citizens of Cork, in meeting assembled), do hereby cordially welcome the holding of a Convention, to be comprised of Irishmen of all creeds, classes, and politics to consider the most satisfactory scheme for the future Government of Ireland, and we earnestly hope that all the members of such a Convention will enter upon their deliberations with an open mind, and in a broad and liberal spirit fully determined to arrive at some agreement which will tend to the future welfare and prosperity of our common country”. Mr T B Lillis, of the Munster and Leinster Bank, said he desired to offer a few brief words in support of the resolution. He highlighted that it was not a meeting of politicians, but of business men who were fully representative of the commercial, trading, professional and financial interests of the capital city of Munster. He deemed that “they had the assured conviction, derived from sources of special knowledge which were open to them, that the economic condition of Ireland was never so sound and prosperous as it was at the moment, and their great industry of the land was prospering exceedingly. The prospect of the successful development of our country was never so promising”. At this stage, a young fellow advanced on to the platform and handed the Chairman a Sinn Féin leaflet. Ignoring the intervention, continuing Mr Lillis said they knew that as a result of the “strife and unrest and dissention which were allowed to prevail that the progress of the country was stilted”. The motion was later approved. The Irish Convention held one of its meetings in Cork on 25 September 1917.